I don't know about your but there is something I really love about cork. 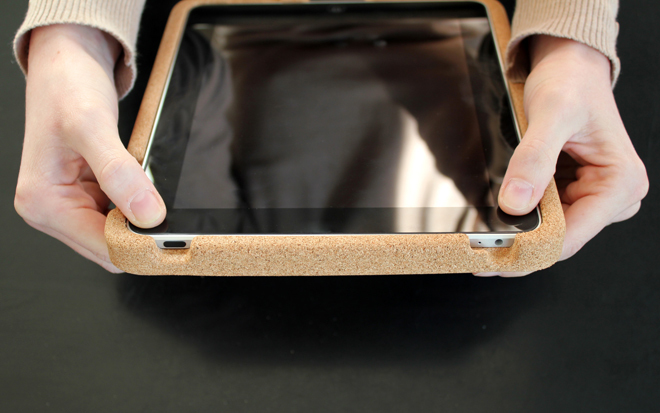 A Produckt decided to make an iPad case entirely out of natural cork because it seems to be a perfect material for a protective case and it make sense. It's grippy, lightweight, protective and it looks good. The Kork case for the iPad has all the necessary cutouts and it even has a special speaker cutout that is angles to give you a better sound. What more could you ask for? The Kork is available to order now for €49.95 and ships for free worldwide.